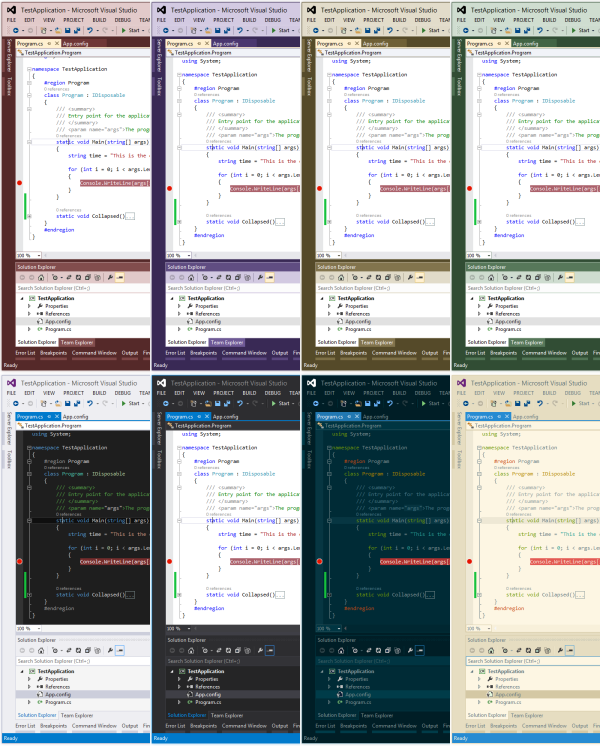 Allows users to customize the Visual Studio 2015 color palette. This extension is supported for Visual Studio 2015 Community and higher. ThisChannel 9 video gives an in-depth description of how to use the extension. This version is signed in a manner which is not supported by the RC version of Visual Studio 2015. It will only install on the RTM version. You can download the RTM version of Visual Studio 2015 here.